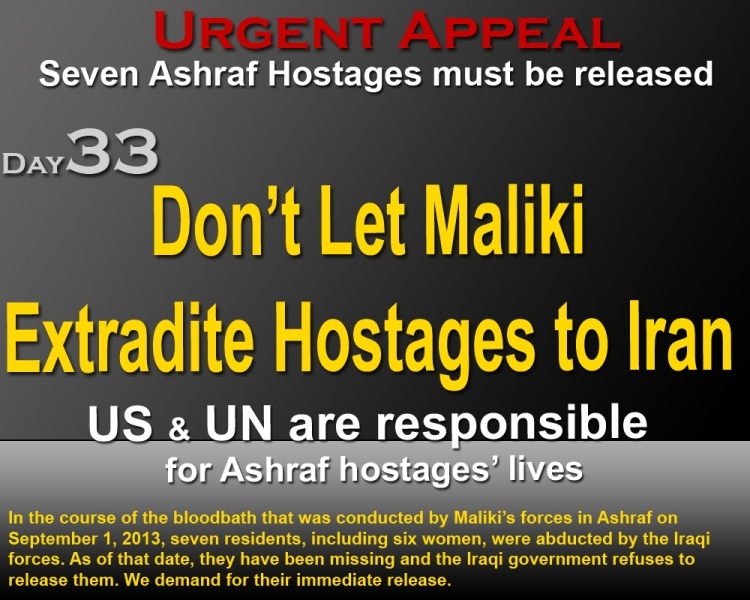 According to information obtained from inside the Iranian regime, the 7 Camp Ashraf hostages are still being held by Nouri al-Maliki’s Special Forces and the Iraqi government continuously displaces them to avoid discovery and give the impression that they are not in Iraq. Only agents of the Prime Ministry’s office and elements of the Iranian regime are allowed to visit the hostages. A Quds force agent interrogated them on Monday and threatened to have them extradited to Iran or sentenced to long-term imprisonment in Iraq. Evidence proving that the hostages are in Iraq is being revealed on a daily basis. US and UN must take action before it becomes too late.